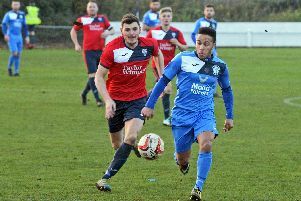 Ryan Hindley’s side had hoped to record a third straight league win which would have seen them move into the top ten in Division One. But they found themselves 4-0 down after just 18 minutes and later had Jason Stokes sent off. Sam Martin had the home side in front after just five minutes. A mistake by goalkeeper Callum Fielding then gifted Tom Widdowson the second on 11 minutes and Widdowson added another two minutes later when he was on hand to scored from close range. George Smith made it 4-0 with just 18 minutes on the clock by turning the ball home after a free-kick had been headed back across goal. Rossington got one back three minutes before the interval courtesy of a Lee Holmes penalty after Brad Howe had been bundled over. Stokes hit the crossbar from a free-kick just before the hour mark. However, any hopes of a comeback evaporated when Stokes was sent off just three minutes later. 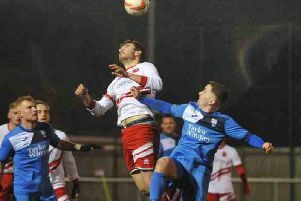 Harworth Colliery lost out 2-0 to two late goals against fellow Division One strugglers Skegness Town in what was the proverbial six-pointer. Maltby Main took their unbeaten run to nine games in all competitions with a hard earned 1-0 victory over Hemsworth MW at Muglet Lane.